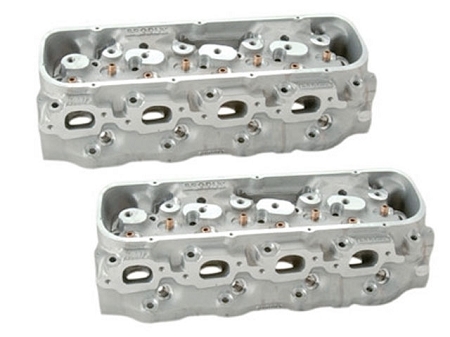 The 18° Pro Stock style cylinder heads from BRODIX are the Big Dukes. The PB 1800 and PB 1801 were the original designs in this legendary series. The PB 1802 is a cast ported version of the PB 1800 capable of flowing over 480 cfm. The professionals at BRODIX have contoured each intake port, exhaust port, and combustion chamber to flow its maximum potential out of the box. 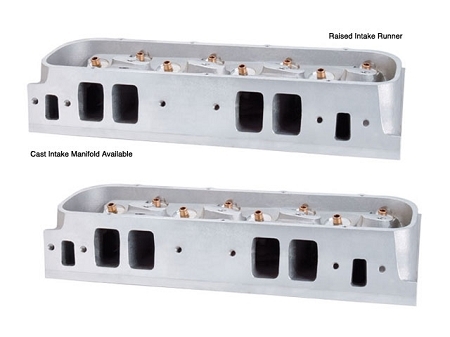 The revolutionary PB 1803 cylinder heads from BRODIX feature oval intake ports, CNC combustion chambers, and use all standard components for the 18� Pro Stock head excluding the manifold. For the BP PB 1803, BRODIX contacted the best head porters in the business to incorporate our porting design into a 100% CNC ported masterpiece. The BP 1803 utilizes an as-cast intake port that delivers outstanding out-of-the-box performance. Copper valve seats and a 55� seat angle make either head an excellent choice when looking for serious torque and horsepower. All Big Duke series heads require special pistons, valve covers, head studs, shaft rockers, and intake manifold.